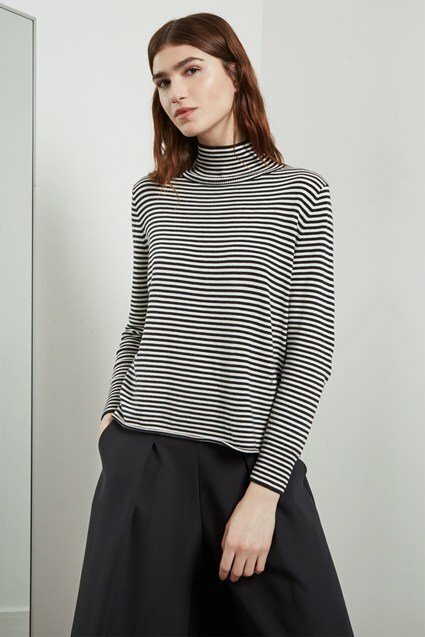 A versatile, classic striped top is a wardrobe hero, perfect for pairing with all your favourite separates. The Bella Basic High Neck Top has a simple oversized silhouette with a high neck and long sleeves. The comfortable fit and cotton-blend fabric make for a relaxed style essential. Tuck the striped top into culottes paired with trainers for effortless off-duty style.